Regarding following an ineffective leader. . .
"Your job isn't to fix the leader; it's to add value. attitude or your work address." it's the spirit within us." "Your leadership is as much disposition as position." I've had several opportunities to be in the position of following an ineffective leader. In those positions, I used to complain every day, usually to my wife or some other poor unfortunate soul. I didn't mince words either. How could the owner have hired such idiots in the first place? They were so inept and lame. It's not that they were bad people, they were just bad at their jobs. Of course, I was not in that league. I was good at my job. In fact, I knew their job better than they did and could probably do my job and theirs and have time left over--you know, me being perfect and all. . . The more I complained, the more there was to complain about. Ever heard of the Law of Attraction? Duh! Was I trying to make myself feel better? Yes. Was it working? No. Was I helping my situation at all by this complaining? No. Was I hurting myself by this activity? Yes. Another self-inflicted wound! Recently, I've been reading and studying The 360 Degree Leader by John C Maxwell. It's a wonderful book about leadership and in particular leading from the middle of an organization. I absolutely love the first quote above: It's not my job to fix the leader--it's my job to ADD VALUE, then it goes on to say, if the leader won't change (and you know they aren't going to. . .), you have two choices: One, develop a new attitude, or a new way of looking at things, or two, get a different job. Now, if I like my job, what I do and where I do it, I have only one choice: choose better thoughts, learn to appreciate my boss more, maybe get to know them more, seek their strengths and accentuate them--in other words, stop complaining and start praising. You know what happens then? They seem to change almost overnight. They all of a sudden have skills you didn't know they had, hobbies that are fascinating, they have knowledge you were unaware of, and a previously hidden but pleasant personality. What an amazing transformation! It's a miracle! Who knew that people could change that quickly? It's an amazing thing. . . Some Of The People I Have Come To Respect Highly Have Been Previous Bosses I Used To Complain About. . . Many After I Left. Better Late Than Never. Spread Some Joy Today--Ever hear complaints about bosses come from your lips? How about other workers? Perhaps we all need to recheck our perfectness. . . It can only be from our own perfection that we see the flaws correctly. . .
that maketh wretch or happy, rich or poor." I used to read or hear quotes like this, and go, yeah, yeah, yeah, I get it. All I have to do is to think positive and my world will change to be the way I want it. I remember learning about PMA, or a positive mental attitude in my twenties, and since I was in sales and sales management, I heard it presented in so many different ways. Indeed, I taught it myself, though truth be known, I didn't really have a hold on it. That reminds me of a couple young kids we were mentoring a long time ago. One was a cousin and he was a bit slow at learning because people just kept moving him forward even though he wasn't getting it. What we found was that he could learn, memorize, and recall the information, but he didn't really understand it. Looking back on myself during those years, I didn't understand it either, but I was pretty good and learning it, memorizing it and recalling it, or teaching it. Isn't that just the way it is with a lot of things? How could I tell that I didn't really understand it? If I did, the results would have been different. What I understand now, and it's even getting more clear each day, is that it is not about having a positive attitude. It isn't about having positive thoughts. It's about feeling good. It's about feeling good when I think thoughts and it's feeling good about the thoughts I think. But, more than these, it is just feeling good. You see, before, I would have a positive attitude, I would do my best to think positive thoughts, and during that I would feel like crap. Sounds strange, but maybe you know what I mean. It was because it was forced, as if I were saying to myself, "I'm going to be positive and upbeat if it kills me!" It had nothing to do with feeling good back then, it was about making a show, and trying to manipulate people's attitudes (something which cannot really be done) and their behavior to obtain certain results. It never did work the way it was supposed to. A few seemed to get it, and then I would overhear something that made it clear they didn't--or worse--I would overhear myself and that made it clear that I didn't get it. Now, I know what kind of thoughts I am having solely by how I feel as I think them. If I am feeling any negative feelings, such as fear, overwhelment, frustration, or the like, I know that I am helping to create something I don't want. If I feel good, hopeful, excited, love, and the like, I am on the right path toward something I really do want. In this, I can make changes quickly and thereby feel good almost all the time. That creates a world I want to live in, and a world that I adore. It Is So Much Easier Now To See How I Create My Own World By My Thoughts. Spread Some Joy Today--I don't think there is anything more wonderful and joyous as realizing that we each have so much more control of our lives. It's not about behavior, it is about how we feel. "An obvious fact about negative feelings is often overlooked. They are caused by us, not by exterior happenings. An outside event presents the challenge, but we react to it. not to the things themselves." Because it is so foreign with how I had been taught, it has been a real challenge for me to truly believe that I create my own reality based on what I choose to think, and the place that stands out still (although less each day now), is when someone says something that I don't want to hear, or events that seem out of my control happen. In these situations, I have built up beliefs, and these comments or events then challenge those beliefs and I react. My reaction is typically defensive in nature. That's what I was taught--that you defend yourself when attacked; you shore up under external circumstances and you react quickly. Other times, my reaction may be one of embarrassment. This happens when something comes up that I don't necessarily want known to the world. Again, these are beliefs that have evolved over time and have become quite strong. A belief is just a thought we keep thinking, and I've recently learned how to change those beliefs. I do it by changing my thought about it and changing my reaction as a result. When beliefs are held so strongly, it may take some time to get the change made, but it is okay to just make progress. I don't need to change them overnight, but just a steady movement toward is working just fine. This way, I am fully understanding the change as it is being made. I even sometimes have a bit of fun with it. For example, if someone says something that would have previously caused and angry reaction, I might laugh instead, or maybe pretend I haven't heard a word they've said. Just changing the reaction to a response is good, but not solving the issue. I need to fully understand what was causing my reaction before by understanding what thought brought it forth. There, I can deal with changing my thinking about it by telling a different story to myself about it and giving myself other ways to look at it so that the belief is effectively changed. Here's the real deal: My reaction doesn't have anything to do with what other people think of me or what I do, or have done. It has to do with what I think about what other people think of me or what I do, or have done. It's not them. It's me. I don't change them, I change me. I don't get upset with them, I am upsetting myself. I am what I think, I respond how I think, I do what I think. I Want To Change My Beliefs, And I Can Change Them. I Always Want To Choose. The Only Automatic Response I Would Like Would Be One Of Love. Spread Some Joy Today--Think about your reactions to what people say or show they think about you. See if you want to change that reaction to having no need to respond in that way. There is powerful joy in the freedom from reaction. for today and creates a vision for tomorrow." Thank You For Reading And Sharing Back. Spread Some Joy Today--Nothing will bring you more joy than a thankful heart. Enjoy! Becoming a grateful person requires practice and it also requires letting go of anger, complaining and the like; however, ﻿it is something that doesn't require a complete and immediate turnaround, as it is just fine with the little-at-a-time method of accomplishment. As I've found in my life that the more I am grateful, the less I find to be unhappy about. It is an accumulating process that overshadows, or rather, weeds out the need or desire to complain or be angry or unhappy. Even as some of those negative things pop up from time to time later on, they are so easily dealt with by finding what in them there is to be grateful for. At first it may seem strange that something that is making you angry could have something in it that there is to be thankful for, but I assure you that it is in there. Indeed, it may not even be "it," as you may find many things to be thankful for in this that now appears to cause your anger. As you turn to look at the things to be thankful for, the cause for anger becomes a cause for celebration (although at first, it may only be a bit larger than a pity party. . .). I really think that this was what Paul in the Bible was referring to when he said to be thankful in all things. All experiences can be seen as for the good of us if we only look at them with new eyes and learn to respond instead of react. My mother told us when we were very young to count to ten before responding when something makes you mad. Not bad advice, really, but even better is to look for the benefit in all events and then it becomes much easier to be thankful in all things. Once we start looking at every situation as a benefit regardless of how it causes us to feel at the moment, progress is made certain. I absolutely believe there is a benefit to me in every event or situation. Indeed, I now think that the things that tick me off have even more benefit once I shake that off and start looking. This is how we can practice thanksgiving every day. I Think I'll Change My Judgement From Good And Bad To Good And Gooder. Spread Some Joy Today--When you don't react the way people expect you to react, it amazes them. I've experimented with that for a long time and it is absolutely true. Be an outcast. It's a heck of a lot more fun. I love this quote above and I am so very thankful for those in my life that have rekindled my inner spirit and cause my smoldering fire to burst again into flame. Some of these instances have been in a book, or audio program, where all of a sudden, the flame shoots up as if it was a gas fireplace and I just turned up the gas. I will forever be grateful for these people, many of whom I have never met, and may never meet. One never knows when the next person you meet, book you read, video you watch will rekindle your drive and get you going faster, more confident and in a better, more effective direction. Sometimes, it might just be a quote that does that for me. My all time favorite quote reminds me all the time. It is from William Shakespeare: "There is a tide in the affairs of men, when taken at the flood, leads on to fortune." I first heard or read that quote in the 1970's and have continued to love it until now. It spells hope to me, and it is so very encouraging for me to grow and become more. What better thing could there be to be thankful for? Having someone reignite your passion, rekindle you spirit, renew your enthusiasm, or just get you moving again and on track for what you really want deep inside--that is the best. It is the best because when we are afire with life, we can then be a lamp lighter ourselves. Seek To Get Fired Up! The Opportunities Are There. Spread Some Joy Today--When you are really alive, excited, enthusiastic, in love, joyous, it is impossible not to spread that joy. Even if you try to keep it to yourself, it shows so clearly in the smile on your face, the sparkle in your eye, the swagger in your step, and the general calm, confidence in your demeanor. the government we're paying for." I'm so thankful for laughter. One of the best places to create laughter is YouTube. I don't go there every day, but certainly every week. People send me snipits from YouTube of funny things like the best clips from the TV show Home Improvements, and other truly funny things. It is a joy to watch them, and in that couple of minutes, I completely forget about anything in my life that is not going exactly how I would want it to go. I forget about everything except the funny video in front of me. Then, I want to watch a few more, and so laugh all the more. I love being around people who make me laugh. It takes away any potential stress from the moment and it is a universal joy. Bob Newhart says, "Laughter gives us distance. It allows us to step back from an event, deal with it and then move on." What great advice. Sometimes I get too serious and there is only one cure: laughter. Spread Some Joy Today--What could be more joyous than helping others to laugh? It's a great way to spread some joy today. works in co-operation with something else." "No employer today is independent of those about him. ever a question of cooperation." When I say I have my own business, that's not very accurate. It would better be said that I am part of my own business, because by myself, it wouldn't be a business. It would be a job. But, what I really mean to say is that it requires other people, their influences, their opinions, their energy, their drive, their vision, their character, and the list goes very long of the things that other people bring to make it more than it could ever be on its own. In that, I am blessed to have great people around me that carry the ball when I don't, come through for our customers, and offer ideas and solutions that help grow the business and also make it more efficient and more fun too. My favorite part of the business so far is having meetings with team members. I just love sitting down with them and talking about what is going on, how to solve problems, seek better ways of doing a thing, and just loving them for who they are and how they add value to our organization and to me personally. Each person that comes with us, brings something more to our organization and to each of us personally. It is constantly expanding and evolving, and that is incredible. My second favorite part of the business is meeting with clients in person and/or potential clients in person. I'm not much of a phone person, but I do love to sit down with people and discuss ideas, their business goals, and how we might be able to assist their growth via our services. I love the different personalities of each person. I love the different views on business that each one has and how they came to do what they do and what they love about what they do. Each client adds to our company--not just in revenue, but challenges in having us do better each time, expand our services to meet their needs. Each one makes us more than we were before, and that is awesome. It is harmony that we seek, and sometimes a bit of disharmony helps us get that faster and better, yet no matter what, it is the interaction and partnership that makes it all work. It works for all of us in various ways, but it is all of us. I am very excited at watching our company unfold and change, along with each relationship with clients, potential clients, and vendors too, while at the same time experiencing it moment by moment. It is sheer joy for me, and it is the others that contribute much in that. Thank you all! If I Only Had One Choice Available To Me, I Would Continue To Choose Joy. I Had No Idea That It Would Be This Delightful. . . Spread Some Joy Today--You spread it by experiencing it and then it is a natural thing to share it. It costs nothing and it doesn't care what your financial condition is because it is free to all. Share it daily, hourly, as often as you can. No one will benefit more than you. I guarantee it. view the precious thing at the center of the mass." unnecessary so that the necessary may speak." Until I can find the simplicity in something, I struggle. In all of my learning, I seek to understand the simplicity of the subject so that I understand it well enough to teach it in its simplest way. There are many subjects I don't get to that level of, but those that I do get to become so easy. As an example, in my commercial truck training related to potential overloading problems, I relate a service body to closets we have in our homes. The reason is what we do with closets. We fill them up and they never get emptied until we move. Since a service body is just a bunch of closets, that is exactly what service body owners do. Therein lies the potential problem that everyone can now see clearly. The truck is always full and getting fuller. I use a number of these simplifications because they are easy to understand and easy to teach and fulfills the training goal. I've studied so many things, and the single most studied has been psychology as it relates to sales, sales management, leadership, and motivation. When I was in college, I choked on psychology texts. They were so boring and dull and unnecessarily complicated. It's not that complicated. So, I've studied alternative ways to understand this subject by delving into Transactional Analysis, popular psychology, and self-help psychology which simplifies so much of that subject. And, it has been of great benefit in my work and in my personal life. Napoleon Hill stated, "All great truths are simple in final analysis, and easily understood; if they are not, they are not great truths." I also have found the most profound things I have learned have all been so incredibly simple and easy to understand--when I was willing and interested in study rather than skimming. Spread Some Joy Today--Learn something that excites you so you can teach it. Then teach it. There is great joy in this. in the physical world, even though we talk about them as if they do." but this is not accurate. You make yourself unhappy." We can certainly feel the emotions of anxiety, stress, fear, anger and unhappiness, but many, if not most of us, were taught that there is always something outside of ourselves to blame for this. People say, "it's so stressful at work," or "I don't need this extra stress!" or, "that guy sure knows how to push my buttons," and other such statements. It would seem by those statements that stress is being issued unevenly, or that it is running around looking for a victim to stress-out. If we really think about these, it is easy to see that they don't really exist except as a response within ourselves to. . . not something or someone else, but from our own thinking. Something is said or experienced and we react to it. Maybe the reaction is automatic since we learned it so long ago, or sometimes we react in a way that we think is appropriate, even though in reality, we may not feel that way at all. For example, maybe someone is crying and showing sadness at a funeral, but they really don't feel that way if it weren't for the people around them expecting them to feel that way. It might be easier to just follow the "rules" though they may not be your own. The analogy of "pushing my buttons," is a good way to see the action of these emotions, except it isn't someone else pushing our buttons, it is ourselves pushing them. I've said this before, but I used to get angry in traffic and cuss at the people doing stupid things and get all uptight. It didn't help and it didn't serve me. One day, I decided to stop it and just say to myself, "that's an interesting way to do that! I wouldn't have thought of doing it that way." With a bit of practice, I never get upset in traffic anymore. But, it wasn't the other drivers pushing my buttons, it was my reaction (my own emotions from my thinking) to what they did and I became upset (I upset myself). It was a stimulus-response scenario. Maybe I can't change the stimulus, but I know for certain that I can change the response, and I do that by changing my thoughts about it. This is the way to change anything. Feeling stressful? We can change our thinking and our response the the stimulus that we were previously reacting automatically to. Same applies to anger, anxiety, unhappiness, or any other level of emotion. It may not be the "norm," but I don't need to follow the norm off the cliff, just because they are going that way, do I? You Don't Flip A U-Turn With The Queen Mary, You Nudge It A Bit At A Time Until It Is Turned. There's No Particular Hurry. Just Get Started. Try It. Try It Some More. If You Like The Results, Keep Going! Spread Some Joy Today--It is pure joy to me to be able to choose to not "plug in" to drama around me. I have no need to take it away from them. They are welcome to it. I'm just no longer buying any. The freedom in that is like an eagle soaring. we set a goal and strive to achieve it. we set the context and let life unfold." "None of our men are "experts." if he really knows his job. to how good and how efficient he is. brings a state of mind in which nothing is impossible. a great number of things become impossible." Today is the final piece from the talk several days ago. Yesterday I discussed goals and how I've changed my thinking about goals dramatically. Today, I promised to expand on that and how to work with this new type of "goal." First off, I don't think much of goals anymore. I don't think they are motivators and I know that so many people think they are. It's okay to disagree. As I said, I've set hundreds, maybe thousands of goals over the years for myself and teams I've worked with. I've met a lot of goals, even exceeded some, and missed a much larger percentage of them. Missing the goal is always a downer--and the closer you get to a goal and miss it, the worse that feels. I'll never forget not winning a wonderful trip to Japan by missing the sale of two trucks. The goal was 50, and our team hit 48. Of course, 48 was a stupendous achievement considering our previous sales numbers, but it didn't help much. This is what I mean about goals not helping. The next time they come up, people are less interested, not more interested. They've gone from a picture on the horizon to an expectation of achievement and a methodology of sorting the herd. I could go on and on with what I've studied and learned and experimented about goals, but suffice to say, I am not longer a fan of typical goals and especially numeric goals. One of the world's most celebrated management experts, W. Edwards Deming published his 14 points. It was designed for manufacturing and he was instrumental in helping Japan become a world economic power, but I think they make sense for sales teams, and any business really. In point number 10, he states, "Eliminate slogans, exhortations, and targets for the work force." Point number 11 states, "Eliminate numerical quotas." What you say? Eliminate numerical quotas in manufacturing? Yes. If they can be eliminated there to the benefit of the production, they can easily be eliminated in most other places. Besides, in my own experience, they are not helpful to say it mildly. So, what to do? I said yesterday that I have now only one goal: to feel good. I am a joy seeker. What brings me joy? A sense of purpose is one, excellence is another, innovation gets me giddy, laughter softens the sharp edges, effective leadership inspires me, mutual respect is a delight, I am ecstatic with encouragement, excited in enthusiasm, and serving the customer is my mantra. All of these things are joy creators and all of these things will move the needle whereas numeric goals will not. In fact, numerical quotas are a joke compared to these other qualities, which are business builders. Henry Ford said it well twice: "A business that makes nothing but money is a poor business." and "A business absolutely devoted to service will have only one worry about profits. They will be embarrassingly large." Deming suggested a few other ways in his points to help this change to success happen: Point number 1: "Create constancy of purpose for the improvement of product and service. and Point number 3: "Cease dependence on mass inspection." and Point number 5: "Improve constantly and forever the system of production and service." and Point number 7: "Institute leadership." and Point number 8: "Drive out fear." along with Point number 9: "Breakdown barriers between staff areas." and the last one I want to mention here, point number 12: "Remove barriers to pride of workmanship." This last one speaks strongly to feeling good, as do the others. As people feel good about what they do, where they do it, how they do it, the results of what they do cannot do anything but improve. That, after all, is the whole idea behind goals, isn't it? But, we cannot wait for our bosses, supervisors, spouses or whoever is on the outside of us to get around to learning this, so we do have the power to create all of this ourselves until they finally get it. We need to find ways to feel good ourselves first. The rest will come, or not, and it won't matter for we will have already made it. Suffering Is Overrated And Unnecessary. Spread Some Joy Today--Make as long a list as you can of things that help you to feel good. It might be as simple as enjoying a Grande Breve Latte at Starbucks as a treat, or inspirational quotes, or excellent service to a customer. Whatever it is, do it often. joy out of being depressed, you've got to stand like this." things that will make you feel good." "When work is a pleasure, life is a joy! This is part three of a talk I gave several days ago, distilling into a few key points over 40 years of study about doing well. Part one was accepting responsibility for our own success by realizing that our success is not reliant on any one else and that we need to stop blaming and looking at what is wrong, and instead look toward what we want. Part two was all about decisions, the need for them and a few basic decision points. Part three is about goals, which is a subject most people I know don't think much of, let alone do anything about. I now understand more where that comes from and why it is that goals scare a lot of people. It's fear, of course, but it goes deeper than this simple explanation. I've known many people that didn't try because they didn't want to fail. Read that a few times and see how it makes so little sense, but sense has so little to do with our emotions. It's just the way we feel, but the good news is that we have the power to change that, and in turn, change our entire experience in life. I've set hundreds and hundreds of goals for myself and for my sales teams, and others. I've experimented with all kinds of goals and how high to put the standard, etc. Much of the time the goals were numeric--a certain number of sales, prospects, presentations, gross dollar amounts, average profits, and many others. I've written articles about goals and have spoken often about goals. I've promoted goals and I've watched them be helpful and I've also watched them be just as unhelpful. In business, goals, and goal achievement percentages have a lot of significance--not very much thought about why or how it affects different people, but the goal setting lumbers on in American business today. So, in all my experience in goals, goal setting, and how goals affect people, plus how well they work to achieve the stated objectives (more goals), I've come to a dramatic conclusion. Most of them are a waste of time, and certainly, group goals are more a waste of time than individual goals, discussed only individually. Sure, no one is listening to me on this, and I understand that I am perhaps in left field as a result (why do they say that? Left field was always a good place to be when I was playing baseball. . .), but I'm used to it, so it's okay. I'll be more in left field when I tell you what I think about goals today. . . I recommend that we set one and only one goal: To feel good. That's it. To Feel Good! Regardless of what the task is, people do a better job of it when they feel good. Regardless of the task, everyone in every level can achieve this perfectly. I don't think now that there is a better goal to have for any sales organization, any team, any business, any family, any anything than to feel good. Seek joy. If there is anything that will turn a lethargic organization around, it is people with joy in their lives. So, it behooves every organization to learn how to help their people feel good. Start Feel Good Training. Have Feel Good Retreats. Focus on feeling good--everyone feeling good. No one need ever be confused about goals any longer. I've simplified it. How can we do this? I'll talk about that briefly tomorrow. . . Nothing Is More Important Than We Feel Good. Nothing. Spread Some Joy Today--Start out by giving yourself a break. Stop putting yourself down in any way, shape or form. In fact, reverse this to build yourself up at every chance. Find ways to feel good. There is no benefit to feeling bad other than letting you know you are going the wrong direction. a new action. If there's no action, you haven't truly decided." even stake its existence on its stated purpose." "Words form the thread on which we string our experiences." This is part two, continuing from yesterdays Daily Inspiration about a talk I gave a few days ago distilling 40 years of study into a few main points. Yesterday, I went over accepting responsibility for our own success by understanding that our success or doing well has nothing at all to do with any one else and that making a decision about what we want instead of what we don't want is critical. This was the beginning of decision. Today, I want to go into more detail on the decision aspect. In one of my all time favorite books, Anthony Robbins states in Awaken The Giant Within, that decisions are the pathway to power. He also states that three decisions control our destiny and they are: 1. Decisions about what to focus on. 2. Decisions about what things mean to us. and 3. Decisions about what to do. He wants us to know that it's our decisions, and not our conditions, that determine our destiny. Decisions about what to focus on. This one is a continuation of yesterday's foundation. We can choose to focus on what we don't want, or what we do want. Most of us spend most of our lives seeing and experiencing what we don't want. The more we think about all the problems in the world, the more there seems to be. It's almost funny the way that works so consistently. However, at the same time, if we reverse that focus to focus on what we do want instead, we seem to get more of that. And, here's how simple this whole thing is: It is strictly the power of making a decision to focus on what we do want rather than what we don't want that will get the ball rolling solidly toward our success. Just a decision about what we will focus upon. Very, very simple. Decisions about what things mean to us. How we interpret things is heard clearly in the words and phrases we use. Many of those were probably picked up and copied from parents, and other people and we have used them regularly not realizing how powerful words can be in helping or in hindering us. Want to know more? 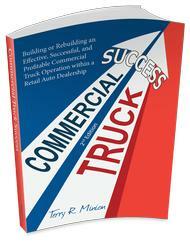 Read chapter 9 in Tony's book, titled, The Vocabulary of Ultimate Success. Ever hear people say things like, "that's just my luck! Those things just seem to keep happening to me." We say those things but expect something different and it will never work. We must change the way we talk to ourselves and to others, and even more important is our definitions of what things mean. Decisions about what to do. For most of my life, I just kept doing the same things over and over again. My belief told me that this is what I knew and so I should just stick with it. Finally, I broke that state in my life and tried something different and it paid off nicely. I no longer feel stuck and that is important. Deciding what to do is so important. A lot of times, we just think about it, wish it, plan it and forget to make a decision about what to do. In order to do, we must decide to do. In other words, if you like what you do for a living, and yet are not doing so well, decide to be successful at it. Make a decision to excel at it regardless of the current situation. It is surprising how simple and yet effective this decision will be. Not making it, keeps many of us back for so long. As you decide, heaven and earth will move circumstances and things to line up for you. Try it and you'll see. Tomorrow is part three. . . Spread Some Joy Today--Make some decisions today. Practice makes perfect! Three days ago, I gave a commercial truck training class and as I was preparing for it, I stumbled across some writings I've carried around for many years in a binder. As I read some of the entries, I had a strong feeling to ask the GM at the dealership if I could come the next day and do a little motivational talk. There wasn't much time to prepare, but I did the best I could in the time I had and I got off my notes a couple times and perhaps some of the talk was a bit disjointed, but I think I said the main things I meant to say and expressed the feelings I wanted to express. With more practice, it would have been exceptional. As it was, it was okay. It wasn't the kind of rah-rah pump up talk, but a thought provoking talk. Maybe it will hit the target as some time passes. . . Nonetheless, I thought I would share some of it here in at least three pieces to keep it short. These are things that I have distilled from 40 years of study, reading hundreds of business books and biographies, and my own practice. It has to do with doing well, which we generally all say we want, yet most say they cannot seem to find. I know that well, for I searched for the Holy Grail of Purpose and Prosperity most of my life and it eluded me all the more. The reasons are on a short list and how to change it is even shorter. Making things simple is something I am passionate about because that way, I understand it! My success, or doing well has nothing at all to do with anyone else. If it did, I could never succeed, or do well, unless they allowed me to by being what I need them to be to achieve this. So, the letter is bunk. It doesn't matter. It keeps me from doing well, because I am focusing on the wrong thing: What other people do or don't do. Where should the focus really be? On me and only me. My success, or doing well has nothing at all to do with anyone else. Period. Now that is sort of part 1a. The rest of part one is how I get the focus right and how I can learn to do well. Yes, I must accept responsibility. That is a given. Realizing that my success has only to do with me is accepting responsibility. The rest of part one is similar to the John Lennon quote above (or, at least the way I feel this quote), "Life is what happens while you are busy making other plans." That is what happens when there isn't a decision. Making plans is rather like hoping until a decision is made. Without a decision, there is nothing but empty plans. People go to work to make money, to pay the rent, to buy a car, to live. So many take what they will and learn to make do. They don't decide to do well, they are just hoping to do well. The difference is everything. I deal with a lot of businesses and I see it in so many of them. They want to grow their business, but. . . they want more sales, but. . . they want to hire some people to help, but. . . and then there are sales people who want more sales, but. . . want more money, but. . . wish there was more traffic, but. . . want more respect, but. . . I think they are all "butting successes." Whenever the word but is used after a statement, a decision isn't made, is it? There are no more but's when a decision is made. I have to inject what my definition of decision is here: It is turning a corner and going a different direction. It means commitment. And, this is where the rubber meets the road, the wimps take a hike and the bold take the lead. This is part 1b about creating success, or doing well: make a decision about what you want. So, part one of this talk is to realize once and for all, and to stop making excuses by understanding that our success has nothing at all to do with any one else, and that in order to open the gates, we must make a decision about what we want. Part two tomorrow. . . If It Weren't For ____, I Could/Would ______. . . Spread Some Joy Today--Think about any excuses you are making for not being where you think you should be but aren't. Think about how that minimizes you. Now, accept responsibility instead, accept that it is what it is for the moment, and make some new decisions. the fault lies in yourself." The quote above says it so well, the only thing I would add is, . . . every day. . . Spread Some Joy Today--Nothing, but nothing will improve your day as gratitude does. Make a continual and never-ending list of things. It always fascinates me that two people can look at the same thing and have completely different views. It may be the state of the economy, the state of the neighborhood, the glass of water, or a million other things to look at and see with our eyes, yet people invariable see things differently than others. I was talking with a fleet manager friend in the car business and he was talking about how busy he was and he is having a hard time keeping pace with it, but is so thankful for the volume of business and all around him within 200 miles, he hears nothing but complaints about how bad business is. It would be pretty much impossible that there is a pocket of continuous business in that one out of the way location, compared to a 200 mile radius around him. It's more a mindset; an attitude toward business more than anything else, I think. It has to do with what we believe to be true. And, even more important, or rather what I might say, is that it is the talk or the story that is told aloud and internally that reinforces and will even create the belief. Where one person is grateful and excited, another might be lamenting the economy, the bad breaks, the management, or the bad breaks. Those conditions are reinforced with the stories; the talk, the chit-chat, and the explanations for what is at the moment. In this there can be great differences of opinion, fact, and story-telling, and those differences mirror belief, and belief drives circumstance. Changing the story, opinion, fact will change the belief and the circumstance. It is controllable to a great degree. We all have the power. . . should we make a decision to use it. By Believing Everything I See and Hear, I Become A Victim of Circumstance. Spread Some Joy Today--Thinking and believing the same thing and having a desire to have something else is a ticket to nowhere. Change the thinking and believing to match the desire for a ticket to anywhere you want to go. thinking that you are worthy." I started reading Wayne Dyer back when he published Pulling Your Own Strings. Of all that I read and learned, one of his quotes stuck with me ever since and it is the second quote above about love. This quote is about unconditional love, where you can love people but not need to be with them all the time, approve or disapprove of what they do or don't do, how they choose to live their lives, how many times they screw up and ask for help yet again, or any other condition. You just love them and it is okay. It is Godly love to me and the only love that matters to me. The top quote may not look like it at first, but it is so closely tied to the second that it is funny to think they could be apart. It is pretty hard to love in any way, shape or form, let alone unconditionally, if we don't love ourselves first. I used to hear that and even would repeat it, that we really can't love others without loving ourselves. The trouble was that I didn't actually feel it. I didn't feel worthy. There's a million ways we can adopt that attitude, but the good news is that it only really takes a decision by ourselves to overcome all of that and allow ourselves to be worthy. So, for many years now, I have been a practicing unconditional lover and practicing selfish love as well. And, practice is the key--for me, at least. It is in the practice, that I become good at it, better at it, until eventually, I hope to be perfect at it. It seems to me to be one of the most worthwhile endeavors of my entire life and also worthy of a lifetime of practice. What do you think? Wouldn't it be so cool, if we all practiced? To Love Is To Allow Without Judgement. Spread Some Joy Today--Become a practicing lover and your own best friend. "Do not be awestruck by other people and try to copy them. Nobody can be you as efficiently as you can." When I first saw this quote by Norman Vincent Peale, it made me think of businesses and how many of them think about competition. In some fields, the advertising is so much about what the other ones are doing and how their product does it better. That is very typical of automobile manufacturers, supermarket chains, and even politicians. It seems kind of weird to me to give the other guy any free advertising whether it is putting them down or building them up. It seems better to me to just talk about what you are good at and leave it there. But, we all tend to do some of that comparing anyway. When you think hard about it, there isn't anyone, in any power position, or any position at all who is you, so in this, you are the only live expert about you in existence. And, I think that if we paid more attention to our own strengths and forgot completely about the others, we might be further down the path than we feel we are. Sometimes We Let A Little Out, When What Would Be Really Cool Would Be To Let It All Hang Out! Spread Some Joy Today--Let it rip a bit today! and you are the only solution." "No one can defeat us unless we first defeat ourselves." and how you can celebrate it!" Every One Of Us Is Special And Even Fabulous! Let Us Celebrate The Best Of Us! Spread Some Joy Today--Celebrating your uniqueness will spread joy all around you today. You are most awesome! "Joy has nothing to do with money, circumstance, or things. It has only to do with a desire for it--regardless." Today is November 9th and my birthday, so I decided to give myself a present and share it with everyone else too. I made a quote. So, now I will be world famous! Maybe. The quote is from an accumulation of knowledge and experience and particularly in the time since April of 2007, when I turned a corner and headed down a far different avenue than I had been traveling on. In my now 61 years, that quote represents the single most important element of knowledge I have ever received and implemented. To say it changed my life is a severe understatement. It revolutionized my life. Truly, it gave me back a life that was really worth living. I received this from my desire to have it. I was at a point in my life where I had tried everything I knew and it wasn't working. I was looking for what my life could be instead of what it was. I was on a hunt; searching. That desire led me to several tools that helped change my thinking by opening my awareness and having the messages hit home so spot on that my insides just screamed, "YES! That's it!" In addition, the messages were so simple that, at first, I thought perhaps it was too simple. And the more I studied, the better it got and it hasn't let up since and I haven't let up since. What I found in April of 2007 was the secret for my life. It was also called The Secret and it was an audiobook by Rhonda Byrne. Since I was traveling so much by vehicle, every day I got to listen and I listed to it over and over and over. I was so wanting this that I didn't just want to hear it, or even to learn it, I wanted to become it, so I immersed myself in it. I bought a number of books and tapes from many of the people included in The Secret and that expanded me to new levels of understanding. Many months later, I found that Rhonda's message in The Secret came essentially from Abraham and Jerry and Esther Hicks. So, I began to study their materials and in doing so found the most profound knowledge to live a happy life that I can imagine possible. And today, three years later, I continue on this path that has brought me more joy in three years than in my entire past accumulated. It has brought me such an understanding of why I get what I got and why I keep getting what I got and how to change that when I finally decide to move away from it to get what I want instead. These Daily Inspirations are essentially a sharing of the thoughts and lessons I have learned in how to look at my life differently so that I can have a full and happy life. Frustration, despair, depression even, was a large part of my life in the past and now I have almost none of it. Now when I have a "bad day" it is really a good day as opposed to an awesome day. My scale of bad has risen to pretty good on the bottom and ecstatic on the top. That is a whole new experience than before. If you have felt any of that negative stuff I just mentioned, or maybe have lived a lot of that throughout your life, I encourage you to build a fire under your desire to change it. If you haven't read The Secret, I encourage you to read it, and I think the audiobook is even better. Then start reading with Abraham. I recommend you start with the book, Ask and It Is Given by Jerry and Esther Hicks. That is also available in an audiobook. I recommend that you listen several times at least. The trouble is that we have been taught all of this junk that we have accepted as reality when it was just junk. We sort of need to untrain and retrain to have the life we want. I used to think it was all about how much money you had, and I thought credit was the same thing. You can imagine what happened next and for many, many years I lived that abundant, not really abundant kind of life. It isn't about money whether you have it, pretend to have it, or you don't have any. It is about what we think, how we feel about what we think and a way to understand how we are getting what we are getting and how to change it if we are not getting what we want. That's it. It's not magic. It's not mystery. It's just so simple, that you would have to say it is common sensical. So, Happy Birthday to my getting older self and my by now infamous quote. It is an awesome ride now and I hope that you are enjoying the ride along with me! Joy to YOU! Happy New Life To You! And Me! Spread Some Joy Today--If you're tired of getting what you get, try something new. Read one or more of the books suggested above. They may just change your life completely! that very thought is the problem." That which we battle against gets more attention than it deserves and it often wins the battle in that it is expanded without its own effort. We expand it for our attention to it. In that, the battle is won by the problem, disease, situation, relationship, job, whatever. The problem is not the problem, it is our focus on the problem that is the problem. So, what does that mean? If there is a problem, learn to be grateful for it, bless it, and then turn and focus on the solution. A simpler way to say it is that when you find something you don't want or don't like, then be thankful for that information, turn and focus on what you want or what you would like. It's all the same thing. So many times, we have an issue and we continually look at that issue and fret or worry about it, see how we can combat it or eradicate it, who else has had the problem and what they did about it, search the Internet for more information about the problem, tell our friends and coworkers about the problem, ask the prayer group to pray about the problem, complain about the problem and even cry about the problem. What is reinforced is the problem. It has grown way out of proportion by now. It is now a much larger problem than it was when it was first presented. When we understand that the problem is not the real problem, but instead an opportunity to choose what we want, we can learn to get out of that old habit of reinforcing and expanding the problem, and immediately, or very soon, thank the problem for the information, turn and speak of what is wanted. Expand what is wanted. Focus on what is wanted. If I have ill health and speak of the ill health, research all about the disease and continually expand the importance and presence of the disease, I am expanding the disease. I must thank the disease for the information, turn and focus on my health instead of the disease. The same is true of losing a job, the state of the economy or whatever has presented itself in our lives that is not what we want. Thanking the problem for the information, and turning toward what we want and giving 100% of our attention to that is the thing that will change everything for us. The Solution Is The Whole Reason For The Problem. Spread Some Joy Today--Pay attention and catch yourself acknowledging a problem, situation or circumstance, then expanding on it by complaining, sharing it with friends and coworkers, etc. Catch yourself more and more quickly each time and thank the problem, turn and focus on what you want and tell them about it instead. You will find that problems are not problems any more like they used to be. Now they are opportunities! I absolutely love this quote by Milton Berle. To me, it speaks of the difference between hoping for an opportunity and expecting one and that difference is everything. I've known people out of work, lost in transition, hoping for the right opportunity, then hoping for any opportunity, and often the opportunity doesn't come. They cite examples of the economy and its present state of disrepair, along with a long list of reasons and excuses, facts, fantasy and rumor. It's depressing to see. It represents an attitude that is completely build around lack, or what's not right, or what's not right yet. It's an effort in problem solving at best. Days are stacked one on top of another in fear and despair. I've known people out of work, interested in the transition, expecting the right opportunity, expecting lots of opportunities, and the opportunities come in quantity and quality. These folks cite belief in themselves, excitement for life, a sense of adventure, and confidence in getting what they want and need. It's exciting to watch. It represents an attitude that is build around self-confidence, love of life and a desire to express themselves in what they love doing while being open to new horizons. It is an effort to expand ones self to the fullest. Days are added one unto another as accumulations of experience. These are highly contrasted situations and I have seen them both and lots of places in between. The main difference in how it all works out comes down to what Milton Berle said jokingly, but so correctly is that if opportunity doesn't knock, build a door. How true, how true. Thanks Milt! Hoping and Moping Go So Well Together. Who Needs Them? Expect The Best. Spread Some Joy Today--You could pretty much erase the phrase, "I hope" from your vocabulary and it won't hurt a bit. It reminds me of Yoda stating, "Do or Do Not. There is no try." Or was it, "Expect or Do Not. There is no hope?" "All riches have their origin in mind. Wealth is in ideas--not money." I've been writing about change in the last few pieces, and how those changes--sometimes sudden, sometimes not--affect our lives and work. Hidden inside every problem or seemingly (at first) negative circumstance, lies boundless opportunity, and if we can really come to not just acknowledge this as a possibility or a fact, but as a joyful event that always brings joy, though it may only be a matter of looking for it, there is nothing on earth to stop us. Even though I know this, I haven't yet reached the joyous expectation phase immediately, but I am getting good at it and will have it mastered soon enough. And, the best way to get good at it, and approach mastery of it is to practice going over the positive aspects of where you are now, and where you want to be, while completely (as much as possible for now) ignoring the situation that is causing the change. So, today, I was driving on the freeway to an early morning appointment with an existing client and another appointment with another client right afterward. As I'm driving, I'm thinking about the changes happening right now, and I feel myself looking back a bit. . . and all of a sudden, it hit me! Just three years ago, last month, the business that my partner and I have built was just an idea. It was just a thought. It barely existed in my mind as a complete thought. I wasn't sure how it would come together, when or any other material factor. I just wanted it to happen, and the funny part of that is that I wasn't even sure what it was exactly, I just knew approximately what I wanted. It was just an idea. When I expressed this idea to someone, the ball began to roll without my even realizing it. In fact, within 50 days of sharing the idea, the opportunity presented itself in reality. It took my breath away for a second or two literally, then it began to sink in slowly as a new reality. The business was born. I didn't even have a partner at that time except a name written down in a notebook along with my choices of other key team members I wanted on my team someday. Within 90 days of beginning, my partner came on board. It was just an idea. He was just an idea. It was all just an idea. As I looked back for just a minute and realized it was just an idea only 3 years ago, I was overcome with the joy of the journey to where it is now, while at the same exact time looking forward with even more joy to where it is going and watching it unfold. Those are the kind of thoughts that are so powerful in helping you turn changing circumstances into boundless joy. One a side note, be careful when you really decide what you want, because it might go from a thought to a reality much faster than you would have imagined. I Am Wealthy Beyond Measure In Ideas! Spread Some Joy Today--Make peace with where you are right now and learn to find joy in changing circumstance. Uncovering the joy in that change is so rewarding. Once you start down this path, I predict you will never, ever go back.